According to recent figures, 10% of those aged 65 and over are now a divorcee, which has subsequently led to many divided and blended families coming to blows over who has the rights to inheritance, particularly once a person remarries. The average number of males over the age of 60 who divorce rose by nearly 75% in the 20 years preceding 2013, according to the Office for National Statistics. By 2013, nearly one in three couples getting hitched had also been married before. Couples that have a will in place often forget to have their current wills updated to feature their new spouse or other members of the spouse’s family. Furthermore, most are unaware that a will is revoked by a subsequent re-marriage, leading to fractious disputes between family members in the future. Most disputes begin following the divorce of couples who then go on to remarry and who have children from previous marriages. These children assume they will still benefit from the will and don’t have to share their parent’s assets with the newly acquired family members. It’s also been reported that the number of cases going to High Court is increasing rapidly. One firm reported 490 of the most serious inheritance disputes were settled in the High Court in 2012, with that figure rising to 861 in just 12 months. If a will is out of date, the legal rule of intestacy comes into effect, which states the first £250,000 of an estate must go to the remaining spouse. This leaves children from either side having to make a decision on whether to proceed with the prospect of going to court to claim what they feel is rightfully theirs. 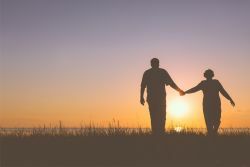 Most couples are likely to have built up their assets in the form of property, investments and savings but with the combination of a complex marital history and broken families, this can lead to arguments over a will between children and the second husband or wife. The impact on children who had expected to inherit can be severe. Free consultation for those divorced in Bexhill, Hastings, Battle, Rye and anywhere in East Sussex.